Make CGI scripts in Perl, offline in Windows. 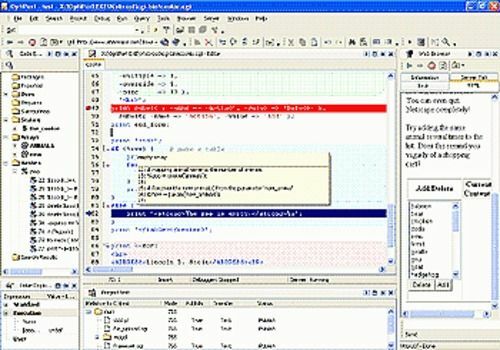 It is a fully integrated visual environment and editor for creating, testing, debugging and running perl scripts and web pages. Includes: Internal server and web browser for previewing, feature packed editor with syntax highlighting, local & remote debugging, context sensitive help, code librarian and templates, RegExp explainer, source reformatter, project support, pod viewer, query editor and other! Microsoft Visual Studio 2013 Standard Edition offre un environnement de développement très complet aux développeurs de Windows et du Web.